Objective. 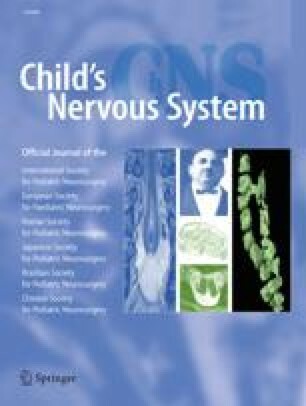 The object of this study was to evaluate the potential of amplitude-coded colour Doppler sonography (aCDS) in paediatric neurosonography from the aspects of clinical value and impact. Patients and methods. Sixty neonates, infants, and children underwent 72 aCDS investigations after conventional ultrasound (US) studies including conventional colour Doppler. Their diagnoses included tumours, hydrocephalus and cerebral fluid collections, cerebral vascular disorders, cerebral bleeds and hypoxic-ischaemic lesions. The results of aCDS were prospectively compared with the findings obtained with conventional US findings, with CT/MRI results when available (34 patients with 41 investigations), with operative findings (7 patients), and with clinical, laboratory, EEG and follow-up results. Results. Six patients showed normal findings. Fourteen cerebral bleeds were correctly recognised by both conventional US and aCDS; plexus haemorrhage was depicted only on aCDS in 4 additional neonates. In 4 of 6 patients with tumours and vascular malformations aCDS revealed additional information. aCDS improved early detection of focal ischaemic lesions in 10 of 13 cases and enabled Duplex sampling in 7 of 9 children with diffuse hypoxic brain injury. In 5 of 20 patients with hydrocephalus and/or fluid collections aCDS proved helpful (e.g. demonstration of liquor fistula), yielding a sensitivity of 93.75%, as against 43.75% for conventional US. Conclusion. aCDS is helpful in differentiating perfused structures such as a prominent ventricular plexus or tumours from structures without perfused vasculature, such as blood clots or ischaemic lesions. aCDS can be considered a valuable adjunct in the differential diagnosis of haemorrhage and ischaemic lesions as well as of vascular malformations and tumours.